As thought-provoking and enjoyable as keyword research can be, it’s also equally complicated and mind-boggling if you’re a beginner just on the tipping point of actually getting it. Sure, you’ve perused through Google’s Keyword Planner and tinkered with Autocomplete. But, honestly, keyword research is intimidating when you’re just starting out. Today, I know that keyword research is not that difficult. But, thanks to RankBrain, AI, digital assistants, etc. it can be confusing even to know where to begin when you’re a newbie. 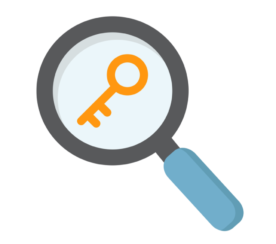 Getting into the groove of keyword research doesn’t just happen overnight. You need to know how people search and what they search for before you can even start to think about mapping your keywords. And with more than 6 billion searches a day worldwide, how do you know where to start? That’s where this article comes in. 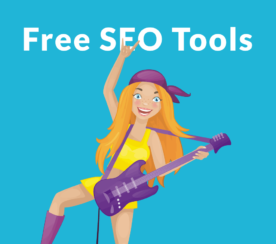 I’m spilling my top tool picks for those looking to improve their SEO repertoire. So, if you’re starting from square one and don’t want to look like you stumbled out of 1997 with keyword stuffing, read on. Where do you look for news stories or trending topics? When should I write an article? Would this article perform well? Who would read this article? How do I find these answers? 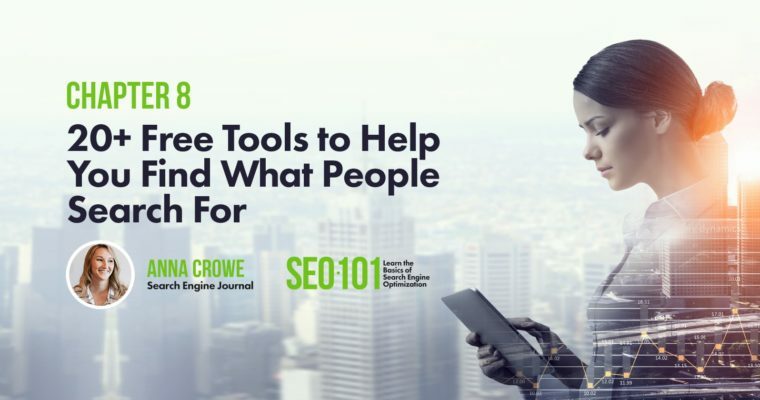 Here are 28 of my favorite tools that can help SEO noobs (or anyone really) discover what people are searching for and why. Buzzsumo is one of my favorite tools because of their Content Discovery solution. It enables you to search by topics Trending Now. And, you can filter by 1 hour, 3 hours, 6 hours, 12 hours, and 24 hours. Plus, you can filter by topics. So, if the usual government hoopla isn’t something you want to tie your keyword research tool, just filter it out. Buzzsumo does offer a free version, but you can upgrade for $99 a month if you want to get alerts on specific topics and all the other goods Jones mentioned. To help you find what people are searching for around a particular topic, just type in your keyword or phrase and watch the magic happen. SEMrush will pull phrase match keywords, related keywords, and organic search results. Paid users have more features and the pro version starts at $99 per month. But, you can still use the tool for free when searching for ideas. Answer The Public is another favorite of mine and relatively new to the scene compared to other tools. It uses searches from Google and Bing and has a massive database that is able to predict what searchers are going to ask. The interface is what makes this tool one of my favorites. While it is a keyword research tool, it displays a beautiful visualization of data. Answer the Public is free and you can export the data to a CVS or Excel file. Bloomberry is just like Answer The Public; the main difference is that Bloomberry displays real questions and topics that people are already talking about on blogs and forums. And, it was created by the team at Buzzsumo, so bonus points! Bloomberry is useful if you’re creating content for Featured Snippets. And, it’s free! Type in your keyword in the search box at the top. Click compare, then type in your second keyword. Adjust the dates if needed. Google Trends also helps you find country data and related queries which will help guide your keyword strategy. Facebook is one of the easiest free tools for discovered relevant topics. Plus, a lot of people get their news from Facebook. The team at Facebook created Trending topics to provide a list of what is popular on Facebook right now. If you’re on your laptop, Trending is located on the top right side of your News Feed. If you’re on your phone, just tap the search bar to see a drop-down list of trends. Just pick a topic and watch the trending news stories roll on. Twitter is another free tool I love to use before creating content. Click Change in your trends box. Select Change to add a different location. Changing your location is super helpful if you’re focusing on local SEO. You can also use Twitter Moments to search for trending topics. You can learn more about Twitter Moments here. YouTube is mostly known for its cooking videos and workout videos, but it also provides a trending videos section so that you can see what’s popular on YouTube right now. You can also check out YouTube Trends blog. It takes a look at trends happening on YouTube and what’s going on in the world around us like tracking the solar eclipse. After you identify what’s trending on YouTube, you can compare the topics to your YouTube analytics. If you can tie the trending videos to your niche, it creates an opportunity for you to add a video with a strong potential to rank in YouTube. In November 2016, Pinterest launched Explore as a feature for Pinners to find out what’s popular on Pinterest. It uses an algorithm to create personalized pins of that day based on search trends. You can also browse up to 30 different topics. While Pinterest created this to offer advertisers more organic options, it’s a pretty excellent tool for brainstorming content ideas. If you’re interested in learning more about how to use social media for keyword research, you might like this guide on SEO & Content Strategy. So, with that said, let’s take a look at some of Google’s free tools. First up, Google Autocomplete. Google Autocomplete is a great tool for finding the best variations of your main keyword phrase. Just type in the Google search box, and related terms will display in a drop-down list. You can then manually select the long-tail keyword phrase you want to use or pick a combination of phrases. The People Also Ask section is another awesome free tool to use when beginning your keyword research. After you type in your keyword term in the Google search box, scroll down to see different variations of your keyword term. You can select the drop-down feature to expand the content. I often use these phrases as Headers in my body copy, which is useful if you’re aiming to achieve Featured Snippet status. Google also offers a section at the bottom of Google search results called Google Searches related to. If you scroll down to the bottom of the search results, you’ll receive up to 8 suggestions that are ideal to use for keyword variations in your content and keyword research. Google News pulls in headlines from news sites worldwide and, like many of the other search engines displays content tailored to your personal interests. I like using Google News because it presents local interests as well as global news in an easy-to-use interface. You just click on the headline and go directly to the website that published the story. Google Alerts is similar to Buzzsumo, except you can have unlimited alerts for free. If you’re searching for a particular topic or competitor, you can set-up Google Alerts to come to your inbox as it happens, once a day, or once a week. I like to pair my Google Alerts with IFTTT recipes. I use this recipe to add my Google Alerts to a spreadsheet. And, this one to push Google Alerts to Slack. If you’re lucky enough to have access to Google Search Console, you can find a whole heap full of keyword research and content marketing ideas. To see what type of keywords users are currently searching for to find your website, pop over to Google Search Console > Search Traffic > Search Analytics. Once you’re here, you’ll see a list of keywords that are getting some traction for you. Want to dig a little deeper? You can check out my Google Search Console guide. I left Google Keyword Planner last because I like to use this tool when starting to move into my keyword mapping, but some marketers like to start their brainstorming with Google’s Keyword Planner. Whenever you decide Google’s Keyword Planner is best for you it will help you clarify which keywords are attainable. You want to find that sweet spot of high search volume with low competition. If you’re looking to see what keywords your competitors are ranking for, then Rank Tracker by SEO Powersuite is the place to go. You simply add your website URL and plug in your competitor URL to see where the content gaps are your keywords. You can track up to 10 competitors. Another cool feature with Rank Tracker is that it allows you to see if you have multiple pages ranking for the same keyword term. 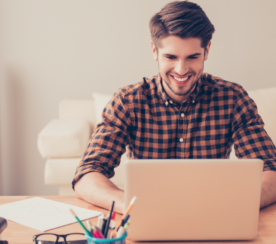 As a beginner, you’ll also want to stay up-to-date on the latest trending keywords. So, I’ve put together a list of some of the best articles on top searches.